Belarusian cuisine may not so universally known as French or German, but you can find a number of interesting and delicious dishes. 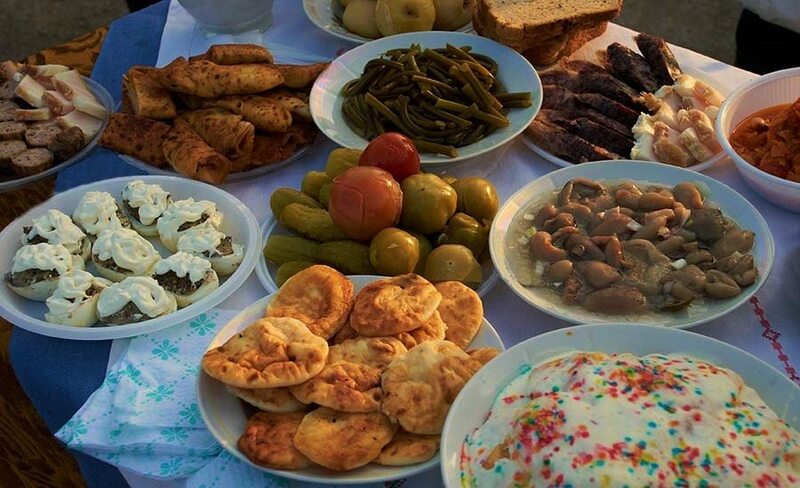 Due to the fact that Belarus is a Slavic country, there is nothing surprising that its cuisine has much in common with Russian, Ukrainian and Polish ones. Still, there are many unique belarusian dishes that you can try only here. 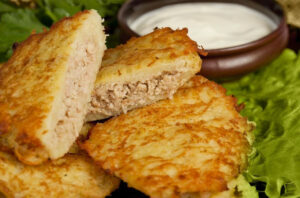 The specifics of Belarusian cuisine is reliance on the local ingredients: potatoes, meat, milk and vegetables. Belarusians often use grated potatoes in their dishes. They can be found it in a variety of recipes of the Belarusian national cuisine. 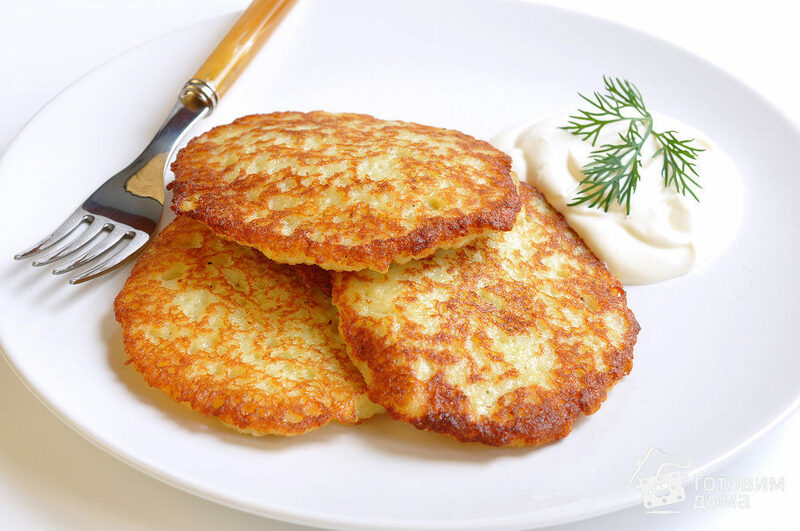 Probably, the most popular dish among the inhabitants of the country are 'draniki' - a sort of potato pancakes. They are usually eaten with sour cream or bacon with an addition of different sauces. Potatoes are also used for various pattys and pies, like 'kartoflaniki' and potato 'babka'. Another traditional recipe for Belarusian cuisine are thick flour pancakes with various fillings. Typical belarusian starters are thick soups, the brightest taste have 'polivka' (cereal and vegetable soup), 'krupenia' and 'zhur'. Farinaceous dishes are represented by 'zatirki' and 'klecki' - boiled pieces of dough (in Belarus, potatoes are often used) that are served with bacon and fried onions. Interesting taste has a porridge consisting of flour with honey and berries, called 'kulaga'. Meat lovers will be pleasantly surprised by the taste of 'pechista', 'vereshchaka' and 'vantrobianka' - various kinds of stewed, roasted pieces of meat, sausage and ribs, popular in the Belarusian cuisine. Belarus is also interesting with its drinks - there are three types of kvass (apart from the traditional one commonly made from black or regular rye bread. There are also 'berezovik' and 'klenovik'), mead and sbiten. After telling about the main belarusian dishes and is national cuisine in general, it is fair to name a few places, where you can try it. 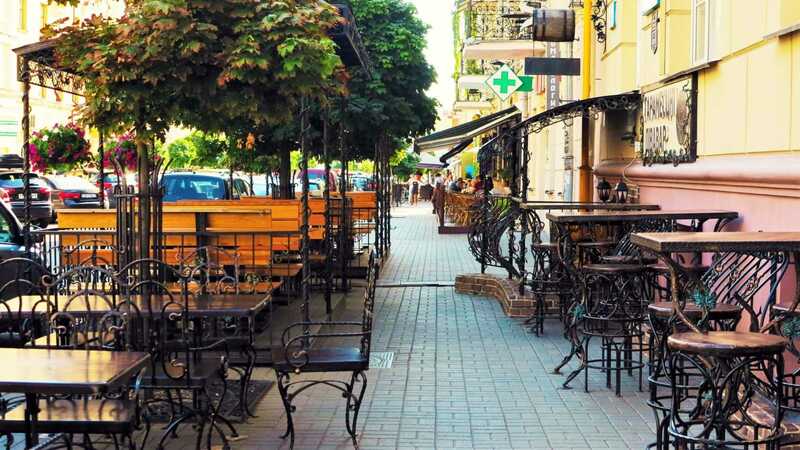 One of the most famous among them is the "Vasilki"(cornflowers) restaurant , with six points in Minsk. The restaurants are decorated in a traditional, stylized as a village house style. Portions here are large as it has to be in Slavic countries. For dessert you can enjoy an apple or pear tart, or 'tvorozhnik' (made of cottage cheese). Another place, more suitable for people who like to eat "on the run" is the "Lido" restaurant. A huge area, several rooms, cozy atmosphere, and the main highlight is the principle of "open kitchen". It allows visitors to select and fill their dishes with what they want. "Siabry"(Friends) restaurant is also worth special mention. It combines elements of Belarusian traditional taverns and homesteads from the past. Such atmosphere of a traditional restaurant is sustained in everythig: both in the menu and in the interior (the entire room is filled with barrels, hunters' trophies and the vintage vases), furniture and clothes of waiters. In addition to the national cuisine, there is a European menu. In general, a feature of traditional Belarusian dishes can be seen not only in the ingredients, but rather in a special handling of the products used. Anyway, the result will pleasantly surprise even the sophisticated gourmets.